Dr. 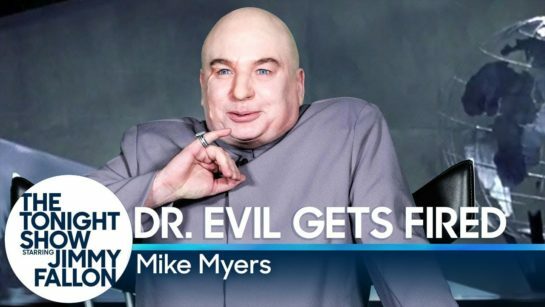 Evil from the ‘Austin Powers’ movies!!! Score for Jimmy Fallon. Sketching out a hilarious clip with Mike Myers’ character clowning the Trump Administration’s lack of character… and throwing his ‘hat’ in the ring for a Presidential run in 2020… score AND a win for us all! Hilarious!